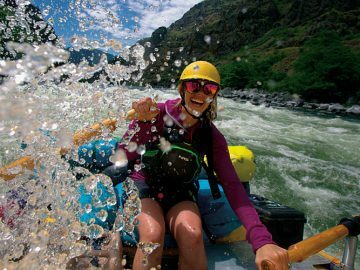 Many of OARS’ Idaho rafting adventures start at 10,000 feet aboard Gem Air flights winging over jagged mountain peaks, national forests, pristine lakes, rugged canyons and twisting, whitewater rivers. 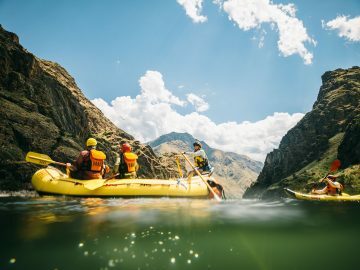 Owned and operated by the Wolters-Schroeder family, Gem Air is a backcountry charter service that OARS partners with to fly guests on Salmon River, Middle Fork of the Salmon River and Hells Canyon trips. 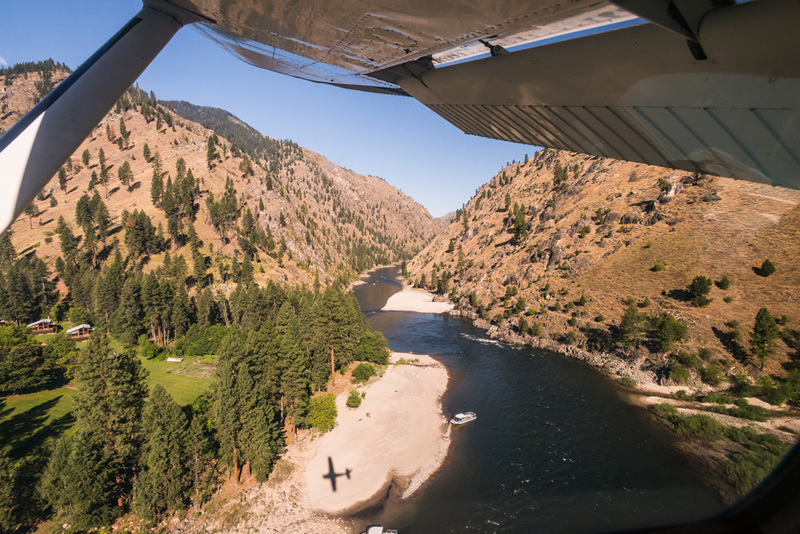 The Salmon, Idaho-based airline provides service from the McCall, Lewiston and Boise Airports to Salmon and Stanley, and into central Idaho’s vast wilderness, often landing at remote dirt airstrips near river trip launch locations. 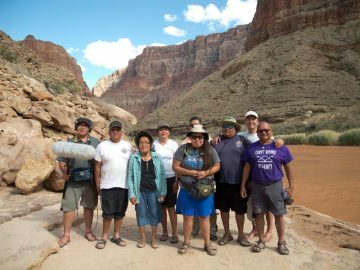 Here’s what the Gem Air family shared about life as a backcountry airline, being part of the river rafting community and what passengers experience inflight. Gem Air founding husband and wife team Dan Schroeder and JoAnn Wolters met in Greeley, Colorado at a private flight school where Dan was an instructor. 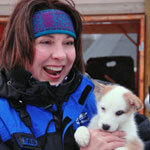 JoAnn had sold her successful snowmobile and motorcycle business to become a pilot and was also a flight instructor. 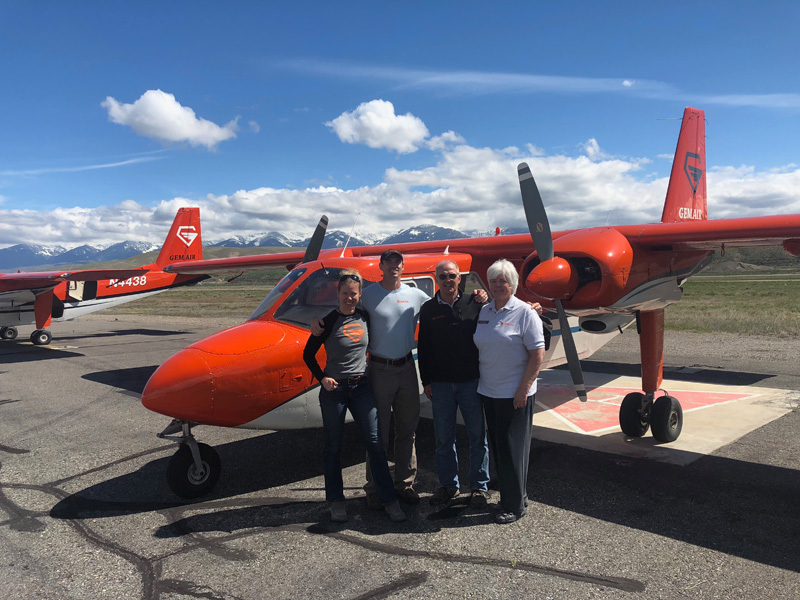 They shared a dream of flying together and living in the mountains, so they bought Salmon Air Taxi in 1982 and grew the business into today’s Gem Air service. 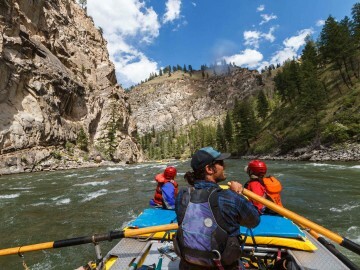 Gem Air’s connection to the backcountry’s outfitter and river rafting communities spans more than 35 years. 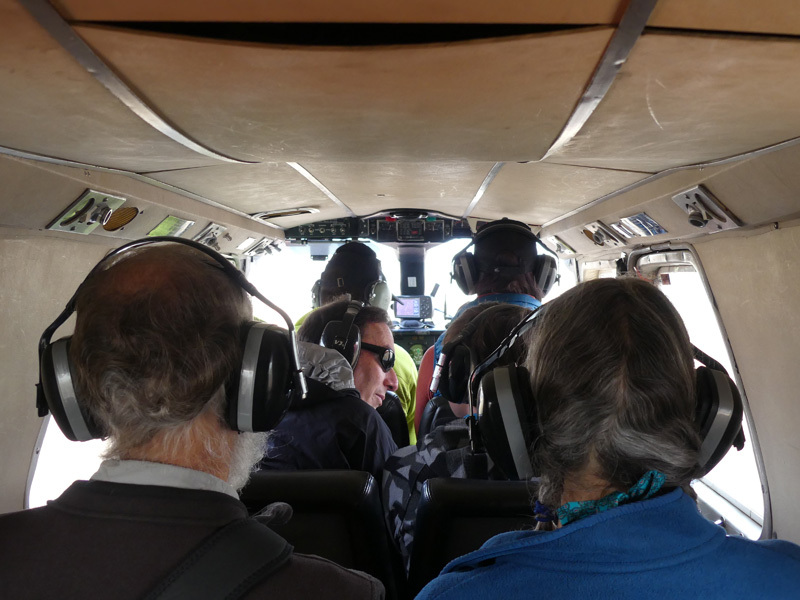 Guest ranches, the Forest Service and companies like Amazon also rely on Gem Air to transport passengers, supplies, freight and even animals. Four-footed Gem Air passengers have included lamas to carry a hunting party’s gear and river guides’ dogs to join them on floats. 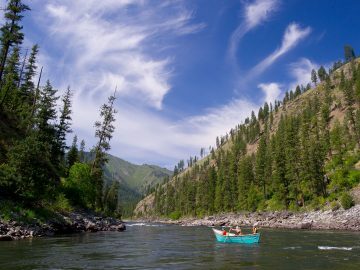 “We not only fly outfitters’ equipment and clients, but evacuate people who get hurt on the river, call in forest fires we spot from the air, transport firefighters, take guests up for sightseeing flights and fly executives to business meetings,” says Dan. 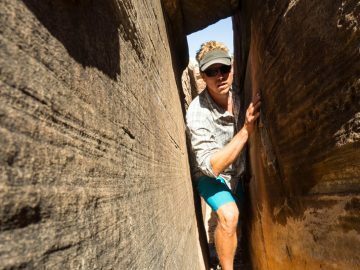 Because Idaho’s terrain is some of the most rugged in the lower 48, roads can’t penetrate it, cell signals are non-existent and Wi-Fi simply doesn’t work. Therefore, Gem Air provides a crucial communications network for those living and working in remote wilderness areas. Jo organizes the OARS gear shipments to the river crew and books guests on Gem Air’s fleet of 12 single and twin-engine Piper, Cessna and Chieftain aircrafts. Seating onboard is dictated by weight. Although an OARS trip may have up to 23 rafters, families are usually seated together on the same plane. Every wilderness flight is different due mostly to weather conditions and sometimes smoke from forest fires in the region, a natural occurrence. The only constant is that the flight schedule will change. “Mother Nature is the boss. She determines when we fly. You have to respect the conditions she gives you,” says Dan. 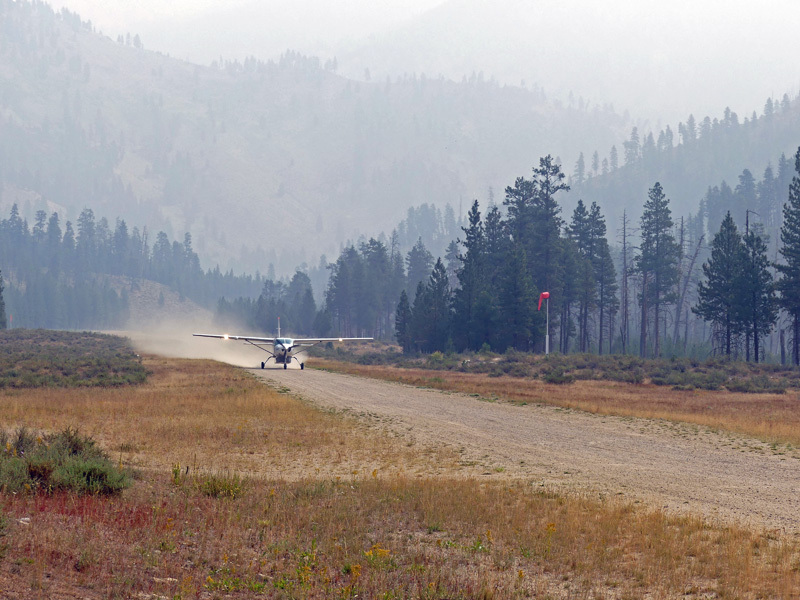 For first-time backcountry fliers, remote airstrips with no terminals, small planes, fluctuating departure schedules and flight conditions can be a bit unnerving. But once airborne, feelings of excitement and beautiful bird’s-eye views replace anxieties. 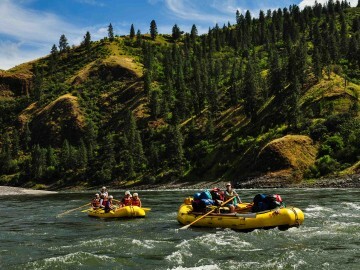 Depending on the river trip, passengers fly over parts of the Salmon-Challis, Boise, Payette and Sawtooth National Forests; the Frank Church River of No Return Wilderness and Selway-Bitterroot Wilderness areas; and the Salmon River, Boise, Clearwater, Sawtooth and Bighorn Crags mountain ranges. On clear days, passengers can see more than 100 miles into the distance. And, that’s just the beginning of your adventure. Kit Bernardi is an award-winning travel journalist and photographer. Follow her travels at KitTravels.com.